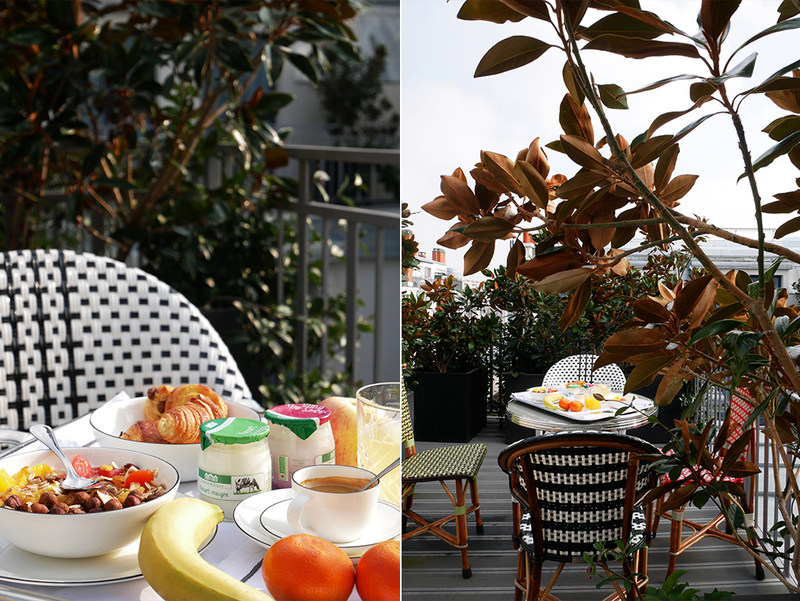 Hotel Eiffel Blomet - Let yourself be pampered at breakfast! At the Hotel Eiffel Blomet, hospitality is a concept we take very seriously. 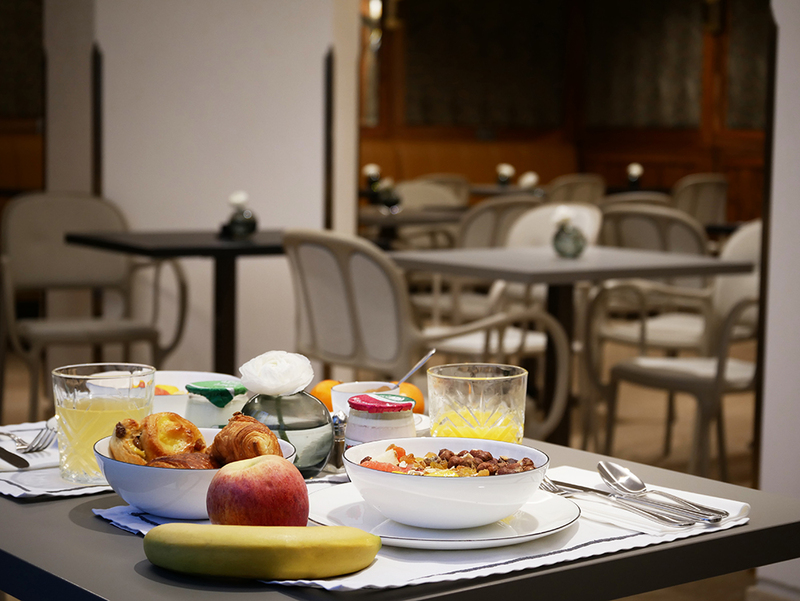 We like to provide comfortable rooms that are cosily inviting and, when you awaken after a good night’s sleep, a gourmet breakfast that sets the tone for the day. And for a queen, it goes without saying! When the weather is fine you can enjoy your breakfast on the patio. Otherwise the buffet is served inside, in our attractive wood-panelled dining room. On the menu is tea, coffee, hot chocolate, and tasty fruit juices. Ham, cheese and eggs await those who prefer savoury pleasures first thing in the morning. You can also choose from various cereals, accompanied by cold or hot milk. As for sweet pleasures, you’ll find yourself spoilt for choice. Spread your fresh and crispy French toast with orange marmalade, raspberry jelly, or apricot jam. Unless you prefer it topped with a single layer of butter. But, temptingly, we also offer pastries. Golden, crisp, irresistible. What’s your food mood on awakening? Brioche or croissant? Buttered bread or chocolate bread? Which to choose? So many decisions to make on awakening… so just relax. Comfortably seated, gazing thoughtfully into the swirls of your coffee, savour the delicious mellowness of the brioche, before tucking into the crispiness of your croissant! Just go for it! And remember, if you prefer to have lunch in the privacy of your room or on your terrace, we are delighted to accommodate your wishes!